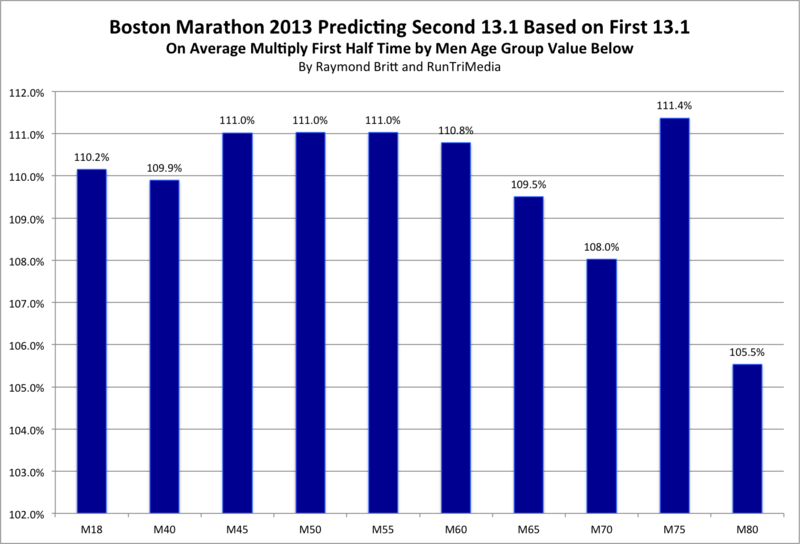 Around the time Boston Marathon runners reach the half-way point in Wellesley, the question on most runners' minds is: What might my finish time likely to be? 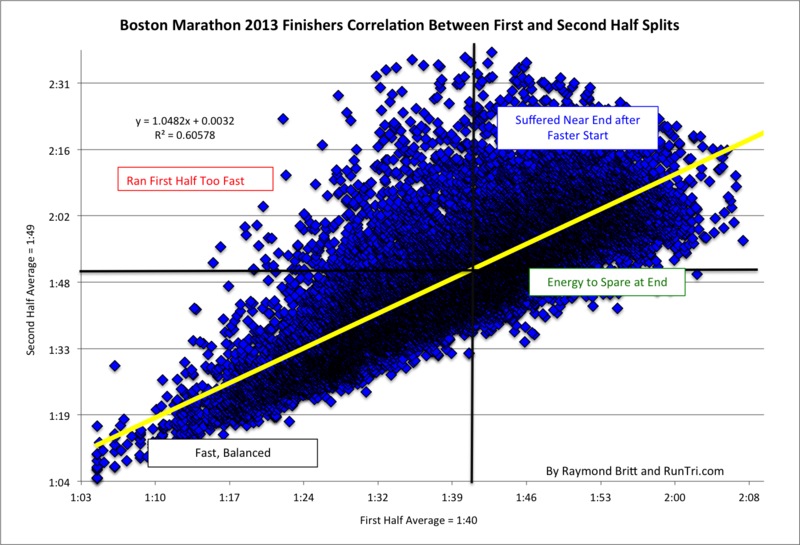 How can runners predict a finish time halfway through the race? 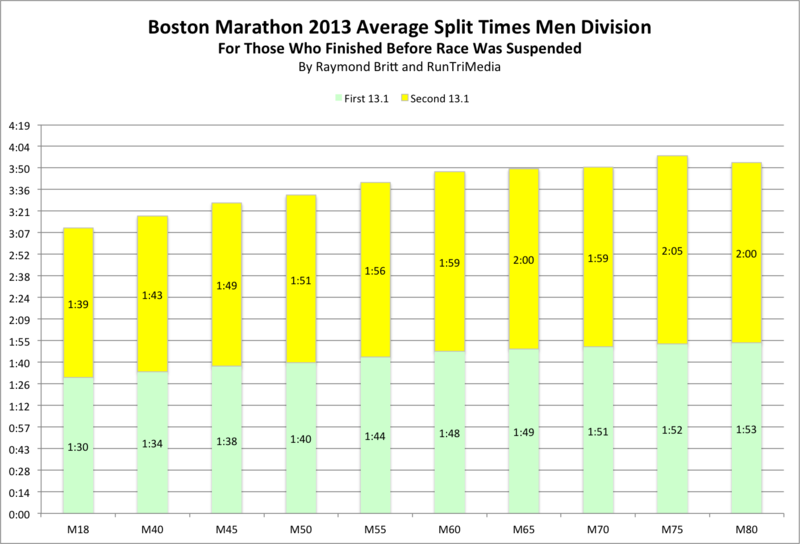 The short answer, after analyzing thousands of finishers splits over the years: multiple your 13.1 mile time by 2.1. 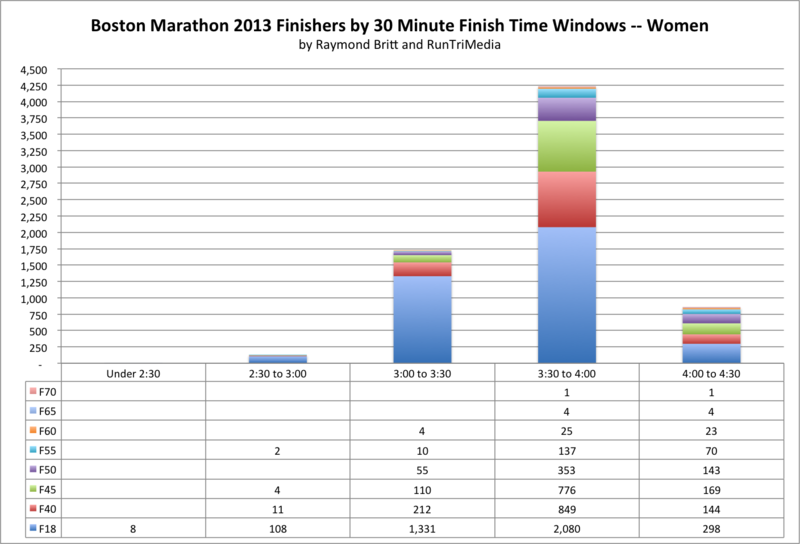 Cross the half-way point in 1:30, you could finish in 3:09, for example. 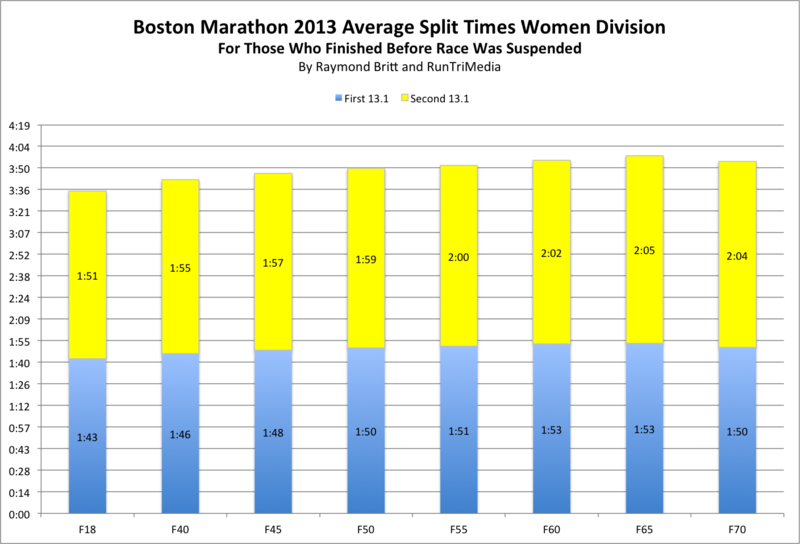 But first, note that statistically, the 2.1 multiplier is a decent guide. But it won't hold for those who started too fast, or finished with extra energy left over. 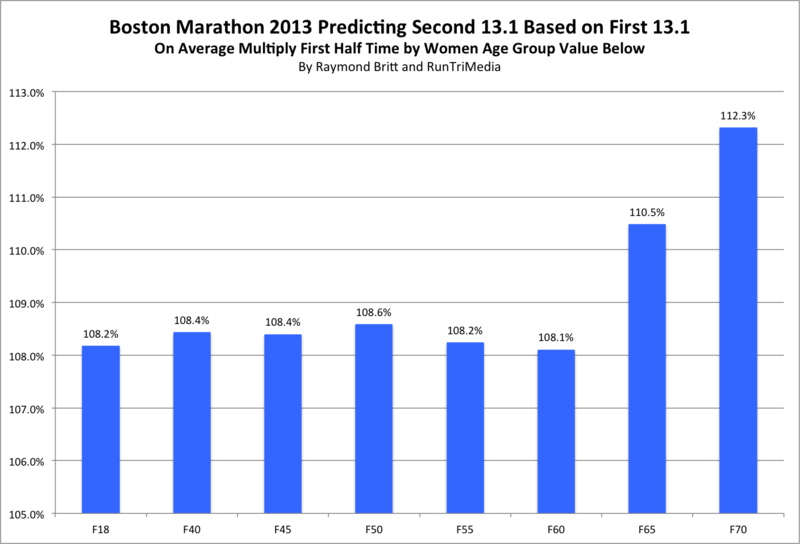 Of course there are variances, and I've got answers for you, by age gender, age group and by 30 minute finish time increments for all who finished under 4:30 in 2013. See age group details below. 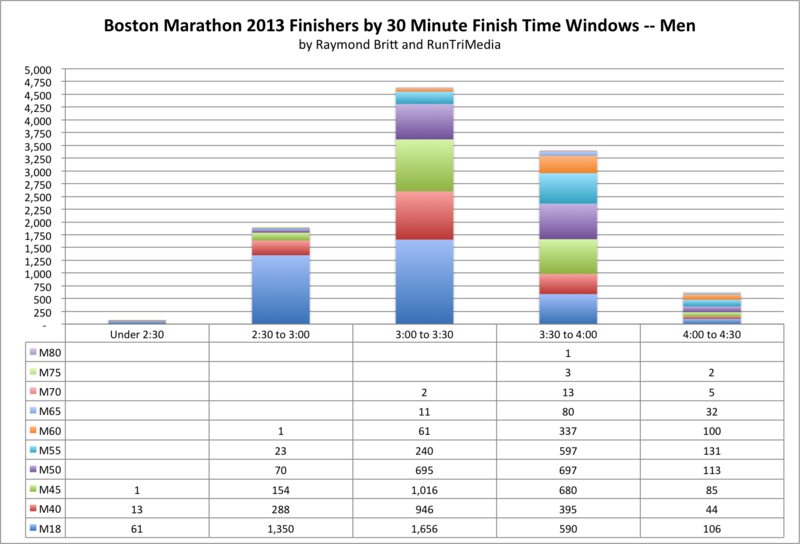 For more, see our complete Boston Marathon Race Coverage.